Sacramento Housing & Redevelopment Agency - SHRA offers information on programs providing financial assistance to households seeking housing. 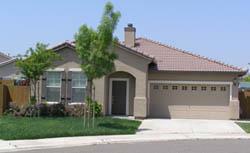 City of Lincoln - The City of Lincoln provides housing opportunities and programs to its residents. The following housing resources assist homebuyers in conjunction with their lenders. Fannie Mae - Fannie Mae provides financial products and services that make it possible for low-, moderate-, and middle-income families to buy homes of their own. California Housing Finance Agency- Homeownership Programs (CalHFA) - CalHFA’s mission is to provide affordable housing opportunities by offering below market interest rate mortgage programs to very low-to-moderate income first-time homebuyer.